closer(group), a production by the visiting BodyCartography Project, opened Dance Place’s 2017/2018 season on Saturday night. 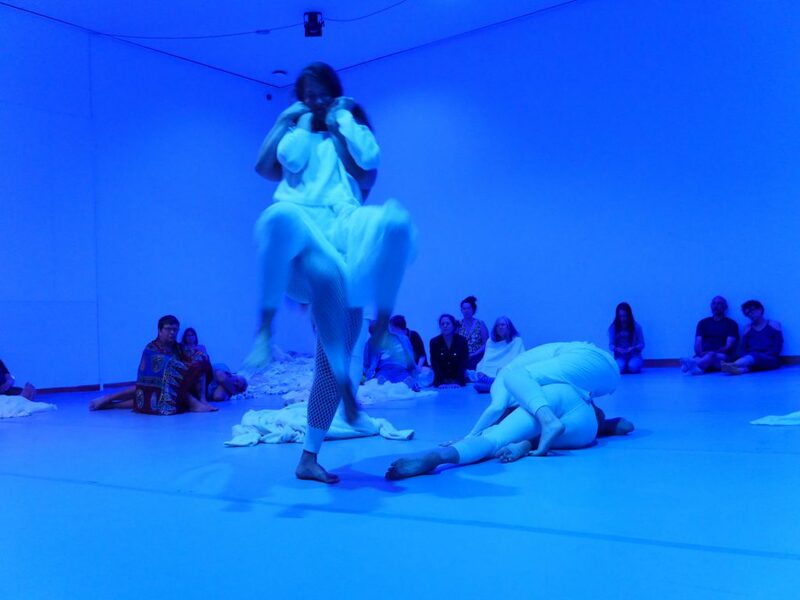 This bold, interactive performance made me question many of my preconceived notions about dance. It also made me question what responsibility artists-especially those in immersive performances-have to make their audiences feel safe. closer(group) was performed in a black box where audience members were allowed to move and stand where they liked. This meant that my view of the performers shifted each time I moved, adding complexity to relatively simple choreography. At the top of the show, a company member danced for me and framed the room with her hands much like a lm director would frame a shot. closer(group) was clearly meant to challenge how we view dance. These personalized dances are a hallmark of the BodyCartography Project, and the company spent the past week performing one-on-one dances in public spaces around D.C. For me this was one of the most arresting parts of the performance; the direct connection I felt with my company member was electric. This same sense of connection permeated the next section of the performance, where company members critiqued a soloist’s improvised routine. (“It looked like you were levitating. What if you wanted to levitate, but couldn’t?”) Watching the revised solo felt like witnessing the birth of something special. A long middle section of closer(group) was performed in a total blackout. This was an artistic choice with merit: it was fascinating to hear, instead of see, dance. After the lights were back on, the audience was invited into the middle of the room while the company performed a dizzying circle dance around us. Once again our perspective of the performance was flipped: here we were in the middle of the performance space, being watched by the performers. 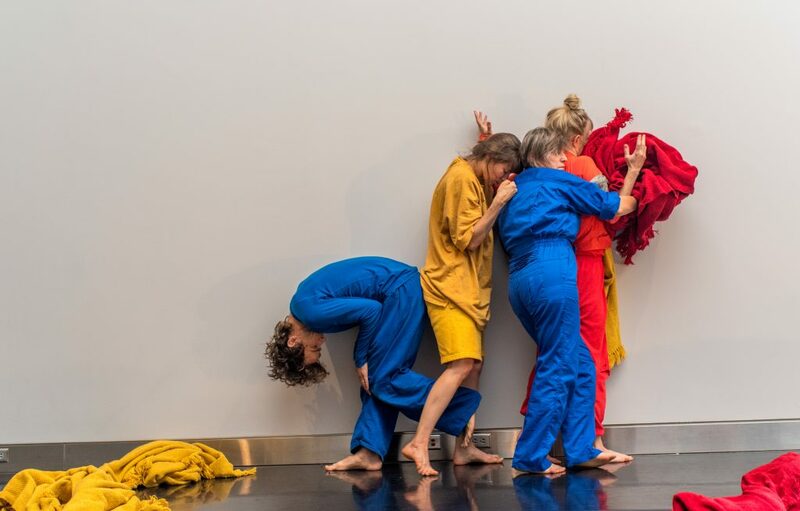 The momentum of the dancers was energizing, but the long period of darkness left the audience hesitant to engage as the performance ended and transitioned into a dance party, DJ and all. Regardless of how you feel about prolonged darkness, closer(group) is a daring piece of art. Its inclusion in Dance Place’s season bodes well for new artistic director Chrisotpher K. Morgan’s tenure. I look forward to seeing what else Dance Place has in store this year.